I’m not someone who wears make-up every day… most days you will find me with my hair in a pony-tail and just a little mascara. When I do wear make-up I LOVE using brushes!! I use them for my concealer, powders, even applying my favorite primer. 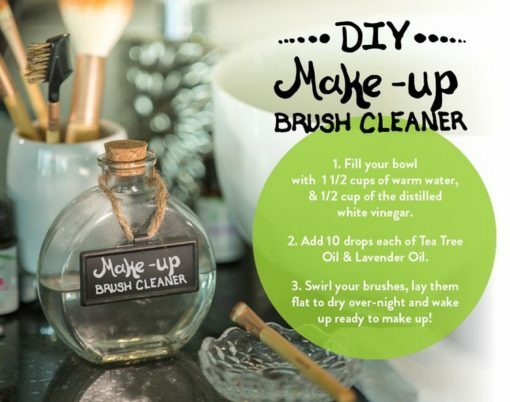 I must admit that I didn’t know how I was supposed to clean my brushes at all! Okay, we HAVE to clean these brushes!!! 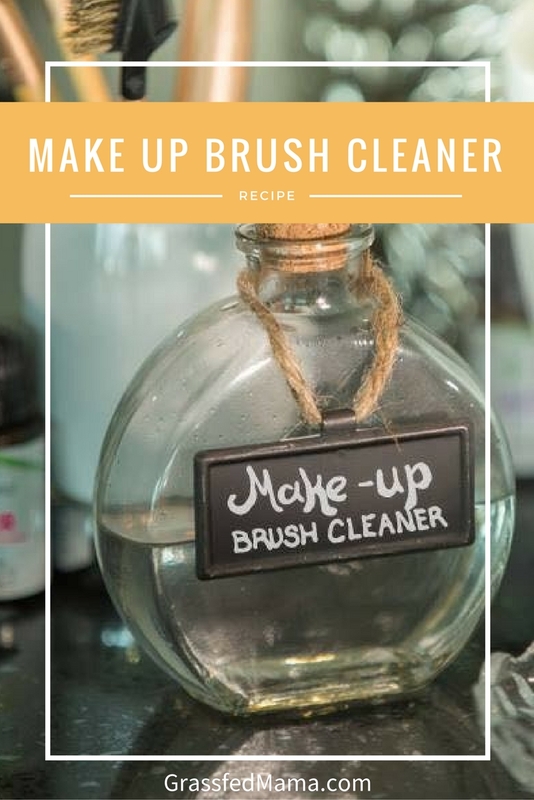 But, there is no reason to run to harsh chemicals to clean them, I have my favorite all natural recipe that is super duper easy for keeping your brushes clean of all that yuck. It is recommended that for concealer and foundation brushes you should clean them once a week. Brushes that are used around the eyes should be cleaned at least twice a month, while all others can be washed once a month. Do you use make-up brushes?? Would this be an easy recipe to help you keep them clean? ?